Finally Daylight Savings is here! This popped up in my email today from Jen and Jill at Sleepy Planet. They are two of the best people I know to help parents and kids with sleep and Daylight Savings is one of those times. Before bed, turn clocks ahead 1 hour. If your child normally sleeps till 6:30 AM, the next morning she will likely sleep till 7:30 AM. Her entire schedule – naps and bedtime – will then shift one hour later. If you’re happy about this change, great! Just protect her room from too much light in the early morning (use room-darkening shades if necessary), and use white noise so she won’t wake with the birds. 1. Put your child down at her regular bedtime, say 7:30 PM, on Saturday night. 2. Set your alarm for 6:30 AM (according to the new clock) and wake your child at this time. To her, it will feel like it’s 5:30 AM, but don’t worry. She’ll be tired, but she’ll adjust. 3. If your child naps, put her down at her normal nap time according to the new clock and resume a normal schedule from there. Don’t allow her to nap longer than usual. 4. On Sunday night, put her down at her usual bedtime according to the new time. Excerpt from The Sleepeasy Solution: The Exhausted Parent’s Guide to Getting Your Child to Sleep — from Birth to Age 5. This week I have seen this PSA (Public Service Announcement) and three media discussions associated with it. 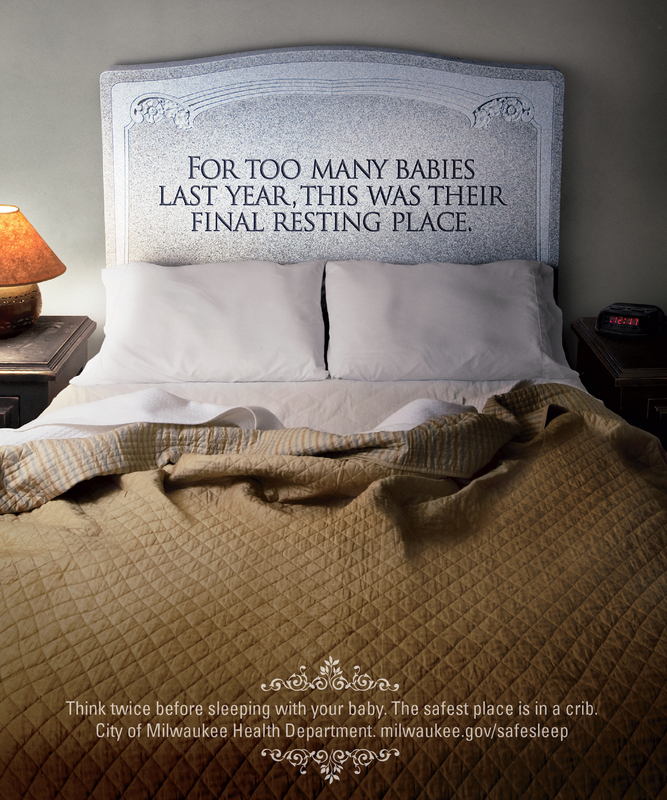 The consensus of what I have read and heard is that this PSA is inappropriate and uses “shock” value to relate an important message to parents concerning “co-sleeping“. Do we really need this type of photo to make a statement against co-sleeping? Well, I visited Milwaukee‘s website and found some helpful “safe sleep” resources and information related to infant deaths in Milwaukee. It is my opinion that Milwaukee is trying desperately to reduce infant mortality but are they trying too hard? Will they lose the attention of the very group that they are aiming to help educate with this poster. The City has had a Safe Sleep Sabbath this past October 11th, where churches participated in a safe sleep for baby program to educate parents about the danger of not putting baby to sleep in an appropriate environment but more importantly it provided information about what was appropriate and safe for infants. Safe Sleep Sabbath – Sunday, October 9, 2011 Act now to overcome one major problem that is killing our babies: infant sleep death. Infant mortality: The number of infants who die before their first birthday. Okay …great…now what what else could be done to decrease infant mortality due to poor and unsafe sleeping conditions? Since we know that in Milwaukee, SES (socio-economic status) is also related to infant mortality it might be helpful to have culturally sensitive educational materials and discussions about safe sleep for infants. It would also be advantageous if this discussion did not confuse co-sleeping with unsafe sleep environments for babies. Let’s keep the discussion going but in a more positive format. Social workers are doing what they can in Milwaukee as evidenced in this piece from the Sentinel. Lets here it for education…education…education…rather than scare tactics and scapegoating “co-sleeping”. This is a very multifaceted problem that needs to be combatted with a multifaceted action plan. In Milwaukee around 20% of infant mortality is attributable to a combination of Sudden Infant Death Syndrome (SIDS), and Sudden Unexplained Death in infancy (SUDI). Of these deaths the majority die in an unsafe sleep environment. 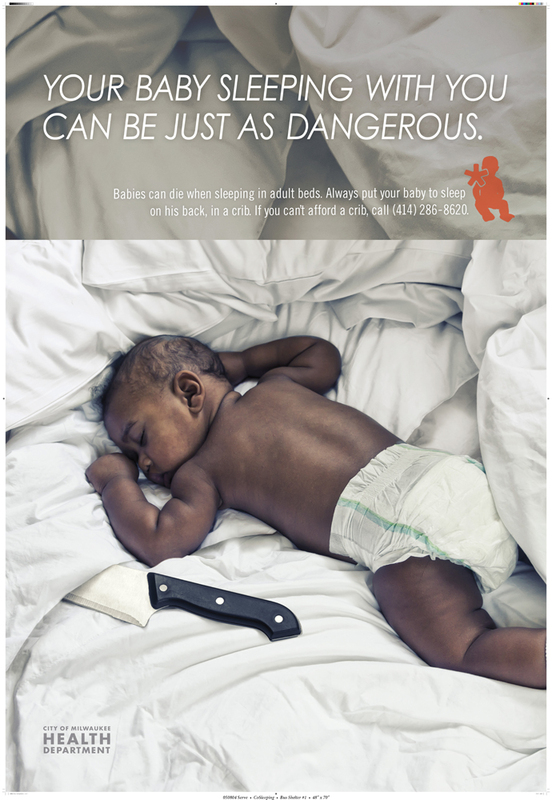 The City of Milwaukee Health Department strongly advises parents NOT to share a bed with their infant. 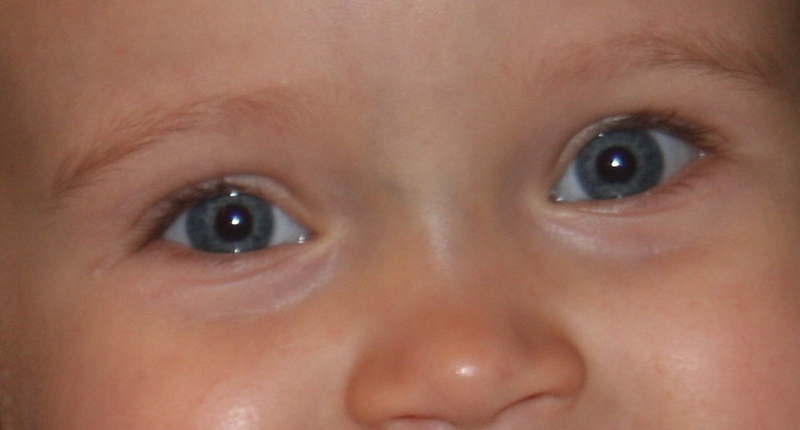 This is based on an American Academy of Pediatrics 2011 Policy Statement which states that the risk of SIDS has been shown to be reduced when the infant sleeps in the same room as the mother, but the AAP recommends that infants not share a bed with parents or anyone else, due to increased risk. The term “co-sleeping” can be confusing, as it is used both to refer to sharing a bed and sharing a room. To clarify the distinction, many pediatric experts now refer to “bed-sharing” (referring to a infant who is sleeping in the same bed, couch, or other surface where parents or others are sleeping), and “room-sharing” (referring to a infant who is sleeping in the parents’ room, but in their own crib or bassinet). Put baby to sleep on their back. Babies who sleep on their backs are safer. Provide a separate but nearby sleeping environment, meaning: babies should share a room with their parents, but not a bed. The risk of SIDS is reduced when the infant sleeps in the same room as the mother. Never put a baby to sleep on a couch or a chair. A crib, bassinette or cradle that conforms to the safety standards is recommended. Make sure that the only item in the crib is a mattress, covered by a tight-fitting sheet. No bumper pads, blankets or toys. Never lay a baby down on or next to a pillow. Pillows are extremely dangerous for infants as they can cause suffocation. Do not ever use infant sleep positioners. The FDA says there have been 12 known deaths associated with these products. Dress the baby in a one-piece sleeper to keep them warm in winter. Keep the room at a temperature that is comfortable for the whole family. But the house should not be too warm. Never smoke in a house where an infant or child lives. The American Academy of Pediatrics Task Force has found that rates of bed-sharing are increasing, especially as we encourage breastfeeding. But the conclusion of the task force is that bed-sharing, as practiced in the US and other Western countries is more hazardous than the infant sleeping on a separate sleep surface. It is recommended that infants not share a bed with adults. Infants may be brought into bed for nursing or comforting, but should be returned to their own safe space to sleep when the parent is ready to return to sleep. Sleep Environment Facts (English & Español) – Contains Milwaukee statistics on infant death. POLICY STATEMENT: SIDS and Other Sleep-Related Infant Deaths: Expansion of Recommendations for Safe Infant Sleeping Environment. I am a fan of “Sleepy Planet“. Here are their tips for transitioning your children to Daylight Savings Time. When your children sleep well so can you. Here’s how to help your little one transition to the new time change smoothly. Before bed, turn clocks ahead 1 hour. If your child normally sleeps till 6:30 AM, the next morning she will likely sleep till 7:30 AM. Her entire schedule – naps and bedtime – will then shift one hour later. If you’re happy about this change, great! Just protect her room from too much light in the early morning, and use white noise so she won’t wake with the birds. The Sleepeasy Solution – or email sleep@sleepyplanet.com to set up a consult.